The Obama administration is still slated to auction off parcels of public land to oil and gas developers, despite the president’s recent pledges to cut U.S. emissions from fossil fuels. Environmental groups said they planned to protest the Dec. 10 lease auction in Washington, which will coincide with the final days of the United Nations climate change talks in Paris. Critics of oil and gas leasing said the monthly auctions contradict President Barack Obama’s broader efforts to curb greenhouse gas emissions, including the landmark Clean Power Plan to cut climate pollution from power plants. The Obama administration has maintained that supporting U.S. oil and gas development is part of an “all-of-the-above” energy strategy, one that allows for domestic fuel production while expanding the use of wind and solar power, electric vehicles, energy-efficient buildings and other clean energy technologies. Federal leases for oil, gas and coal production supply one of the U.S. government’s largest sources of non-tax revenues. In fiscal year 2014, drilling and mining activities generated more than $13 billion in revenues -- including royalties and rent -- for the government, according to Interior Department data. The agency has leased around 35 million acres of public land for oil and gas development in particular -- just over 5 percent of the 650 million acres of federally owned land, and merely a sliver of the 1.7 billion acres of federal waters. The Interior’s Bureau of Land Management (BLM) is slated to offer a combined 500 acres of public land in Arkansas and Michigan for oil and gas leasing at the Dec. 10 auction. Green groups said they planned to hold protests outside the auction site in downtown Washington in the hope of forcing federal officials to cancel the event. Jason Kowalski, the U.S. policy director for 350.org, a leading climate advocacy group, said the auction would undermine America’s credibility at the U.N. climate conference. Obama said Tuesday in Paris that his “main focus” is ensuring the U.S. is a leader in negotiating a successful agreement to reduce the world’s emissions. A spokesman for BLM did not return requests for comment by deadline. Climate scientists have said countries will need to keep a sizable portion of known fossil fuel reserves in the ground to avoid catastrophic levels of global warming of over 2 degrees Celsius (3.6 degrees Fahrenheit). A January report in the journal Nature found that at least 33 percent of the world’s oil reserves, 49 percent of gas reserves and 82 percent of coal reserves must remain unburned in order to keep global temperature rise below that benchmark. Environmentalists in the U.S. and worldwide are increasingly targeting fossil fuel projects that they claim could lead to rampant global warming if fuels were burned for electricity or transportation. Groups like 350.org helped launch a successful campaign to stop the Keystone XL pipeline, which would have linked the Canadian oil sands patch to U.S. refineries. 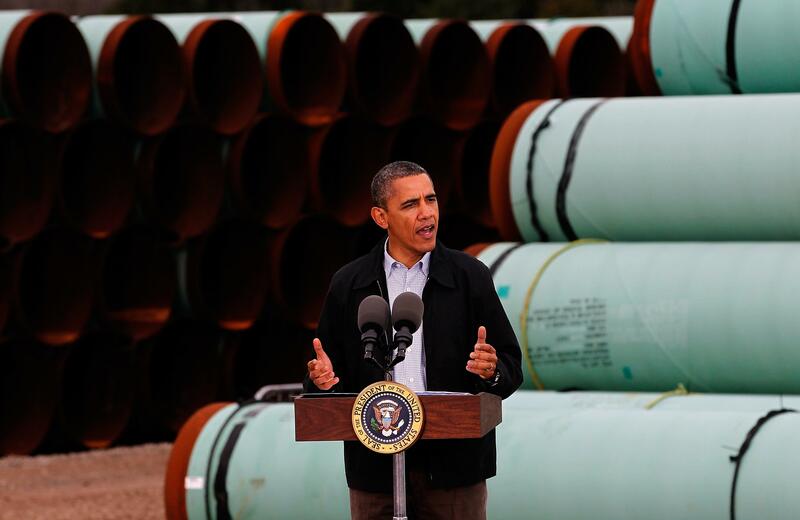 Obama rejected the 1,200-mile conduit last month, citing its lackluster economic benefits and concerns about climate change. “We’re going to have to keep some fossil fuels in the ground rather than burn them,” the president told reporters in November. Activists have targeted other BLM auctions in recent months, including events in Denver, Anchorage, Alaska, and Cheyenne, Wyoming. The threat of protests at a November auction in Salt Lake City forced federal officials to postpone the event, although the bureau said it still plans to sell rights to drill 39 parcels covering nearly 38,000 acres of public land. A handful of Democratic senators, including 2016 presidential hopeful Sen. Bernie Sanders, are aiming to stop BLM auctions altogether. The group in November unveiled a long-shot bill that would prohibit all new oil and gas drilling and coal mining on federal lands and waters, including near the Atlantic coast, the Gulf of Mexico and in Arctic waters. 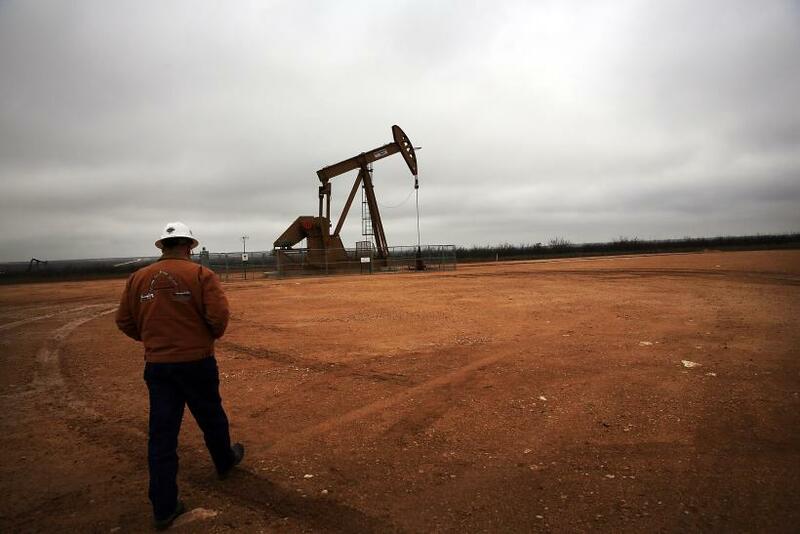 Opponents of the fossil fuel leases have also received an assist from plunging oil prices. The Interior Department in October said it scrapped oil and gas leasing sales in Arctic waters planned for 2016 and 2017 due to lackluster interest from drillers. With oil prices down by nearly half compared to summer 2014, and amid Shell’s high-profile failure to find crude off Alaska’s coast, oil and gas companies are losing interest in the costly, risky region.